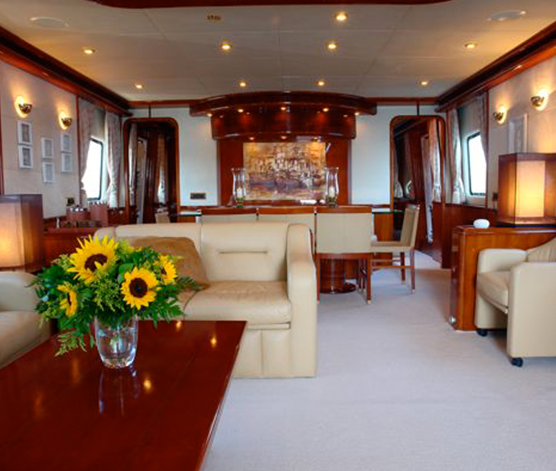 Charter yacht NITTA V boasts a warm contemporary interior. 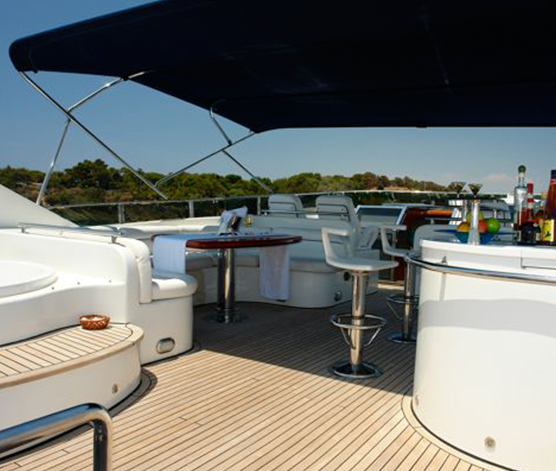 Rich cherry wood finishes throughout, subtle cream soft furnishings and a fresh and elegant ambiance enhance the yachts modern relaxing atmosphere. 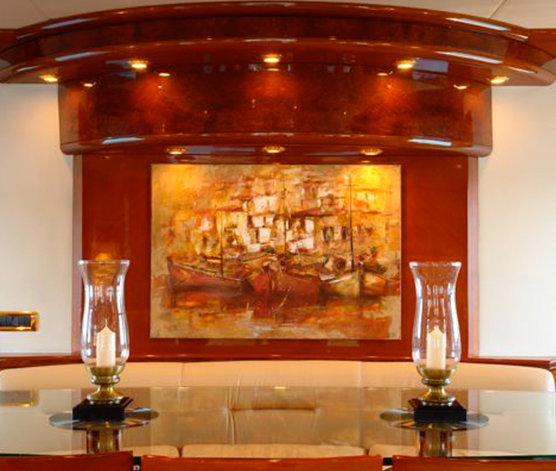 The salon and dining are an open plan with the lounge area aft featuring an L shaped leather sofa, love seat and occasional chairs, a pop up flat screen TV and entertainment center is adjacent. 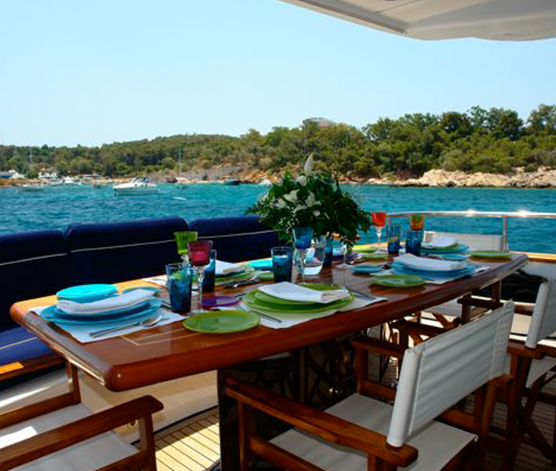 The formal dining space offers a clear glass table and seating for 10 guests. 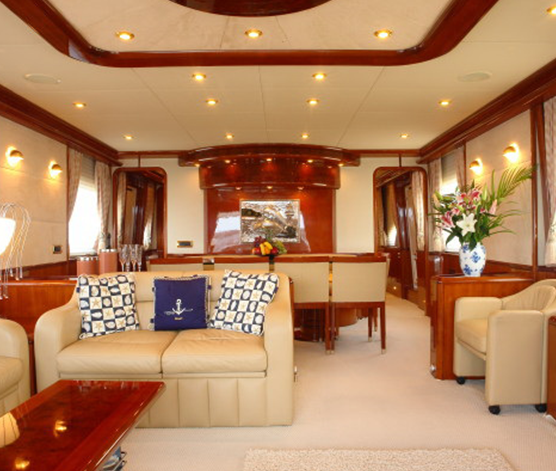 From the salon, a hall leads forward to a day head followed by a full beam VIP cabin, complete with center lined double bed, love seat, vanity, walk in wardrobe and en-suite facilities with a tub. 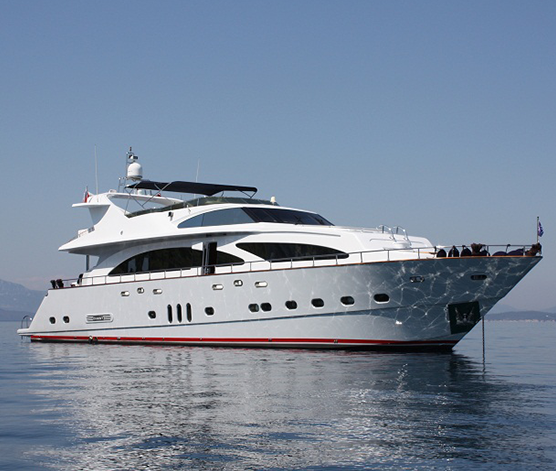 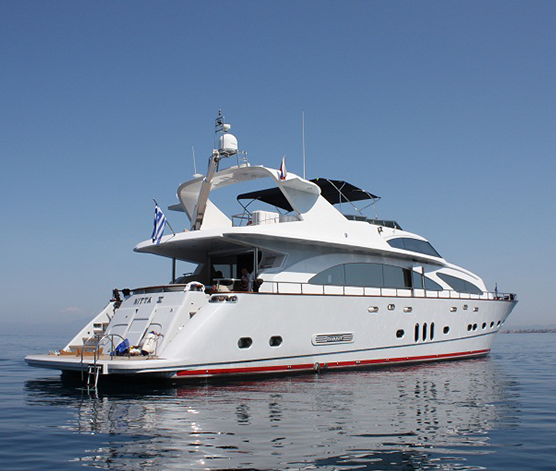 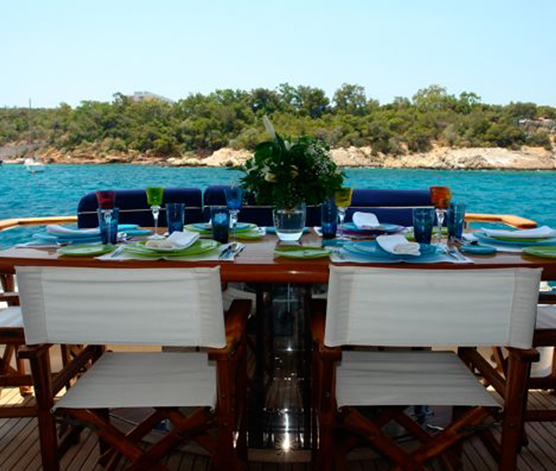 Below decks motor yacht NITTA V boasts a further 4 guests cabins. 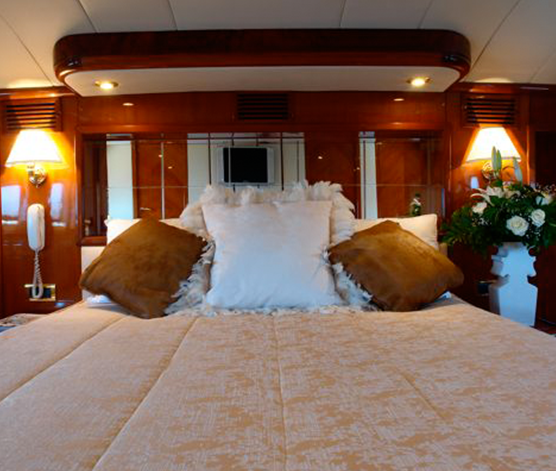 The master is amidships with a center lined king size bed, love seat, vanity, walk in wardrobe and en-suite facilities with his and hers sinks and a tub. 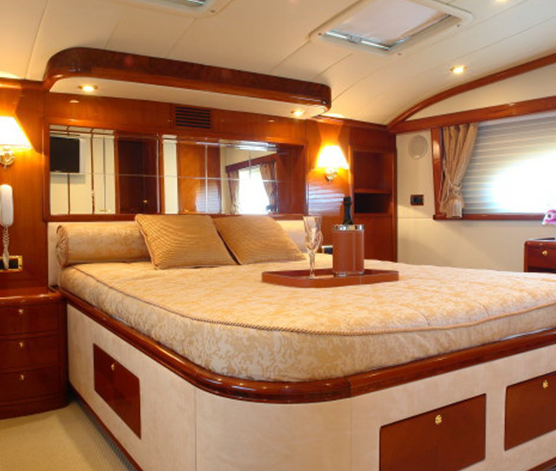 Forward, a double guests cabin is full beam of the yacht with a walk around double bed, love seat, vanity, walk in wardrobe and en-suite facilities with tub. 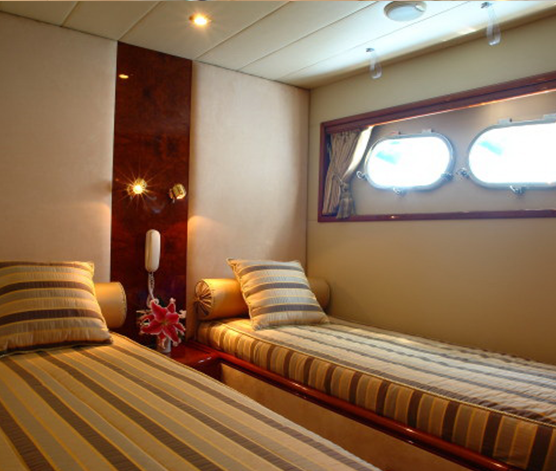 Two guest cabins below decks on port and starboard offer single side by beds and en-suite facilities.